Many professionals in La Cañada Flintridge want to be involved in philanthropic activities that serve their community but are constrained by the demands of their careers. 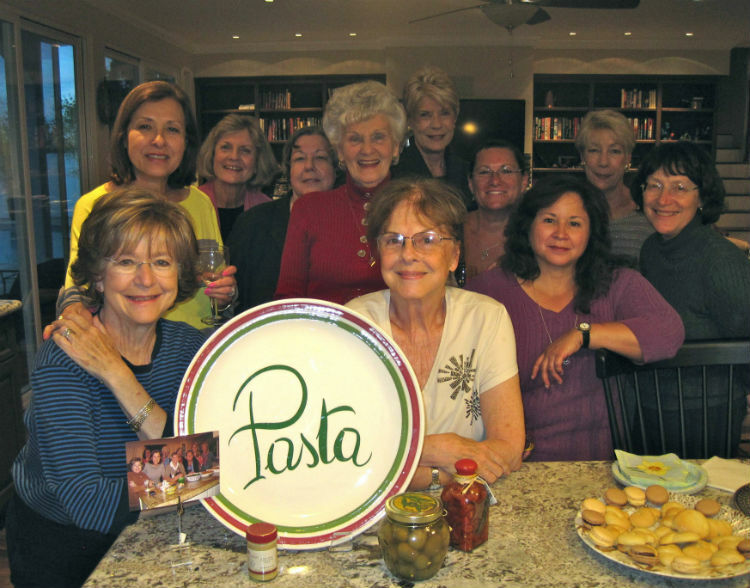 In 1990, members of Assistance League of Flintridge started Cañada Auxiliary of Professionals (CAP) to accommodate volunteers who were not available to donate their time during the regular workday. The Auxiliary was certified in 1991. Since that time, CAP membership has grown to over 50 members who contribute to the success of a number of philanthropic programs. CAP members hold their monthly meetings on a Wednesday evening and schedule volunteer activities outside of their regular work hours. They work at the Bargain Box Thrift Shop on Saturdays and price and display all of the toys that are donated. This program was created in 1991 to provide immediate and temporary emotional comfort to children and seniors who have suffered psychological trauma. CAP members distribute certified-safe stuffed toy bears to USC Verdugo Hills Hospital and local fire stations. The “Cappy” bears are then given to children or older adults who have suffered from events such as an accident, home disturbance or illness. Sometimes when people enter a hospital or arrive at a shelter, their clothing is damaged or worn beyond use. This CAP program supports patients at USC Verdugo Hills Hospital as well as the homeless clients of Pasadena’s Union Station. CAP members assemble and donate Care PACs, which contain new clothing and essential toiletries for patients upon leaving the hospital or during their stay at a shelter. Since 2001, the CAP has offered scholarships to further the education of La Cañada Flintridge students. Last year, CAP extended the reach of the scholarships to those students who live in the adjacent cities of La Crescenta and Montrose. CAP scholarships are awarded to students who will be attending a two-year college or an accredited occupational program in the Fall. Since 2005, Assistance League of Flintridge in partnership with Assistance League of Pasadena, provides clothing, shoe vouchers, personal care items and books to elementary school-age children in the Pasadena Unified School District. Students in need from La Cañada Unified School District are also provided the opportunity to receive school supplies, backpacks, shoe vouchers and gift cards for clothing. CAP members staff during school clothing fitting sessions and have donated money to the OSB program. The RSV program gives seniors a weekly opportunity to get out and socialize with friends while providing a very useful service and support for nonprofit groups in the community. CAP volunteers are on hand the last Friday of each month to help with the work and to provide a lunch for the RSVs when the work is done. Members also bake one large cake monthly to honor those RSVs who are celebrating a birthday during that month and coordinate the holiday party. CAP welcomes new members all year. New CAP members may choose their level of commitment based on their ability to serve. Once they participate in the orientation process and pay membership dues, new members are able to assist in the Bargain Box Thrift Shop and other philanthropic activities. If you think that Canada Auxiliary of Professionals might be right for you, please complete and return the CAP Member Application. You will be contacted by a CAP member who can answer your questions and get you started.